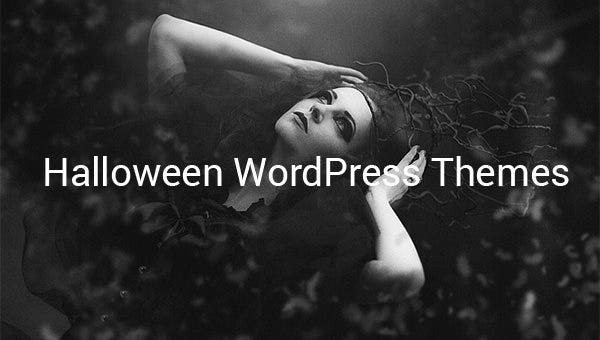 Made for those who run websites dedicated to celebrating Halloween or for all kind of horror and spooky events, the Halloween WordPress Themes can be both artistic as well as commercial at the same time. You May also visit MySpace Halloween Templates. The page templates contains home, events, tickets, gallery, about, guestbook and more sections which are easy to install as well as customise depending on the need of the design. 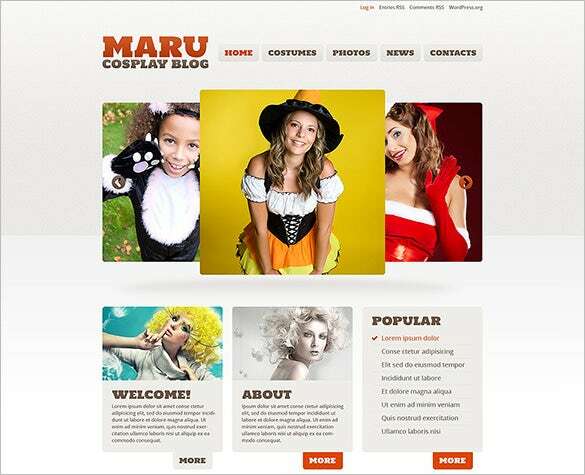 You May also visit Multimedia WordPress Templates. 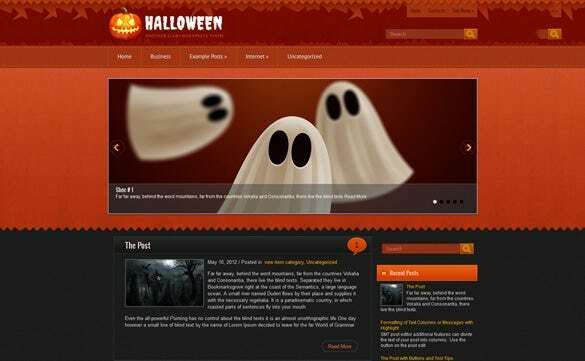 For creating websites rich with features like high quality images, contrasting colour and easy accessibility from mobile devices, download the Halloween Responsive WordPress Theme, which is perfect for all Halloween related websites. 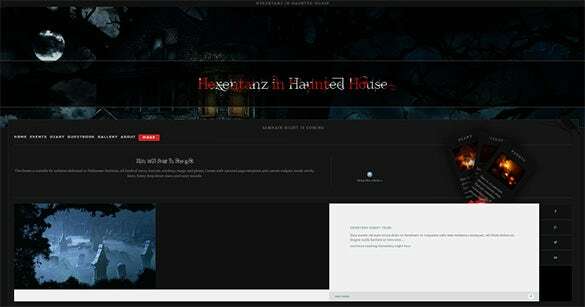 For the best Gothic, horror or monster based website, trust Horror Halloween Events Theme For WordPress. It comes to you with easy navigation menus, additional plug-ins, responsive layout, and core files for all the customizing flexibility you need. 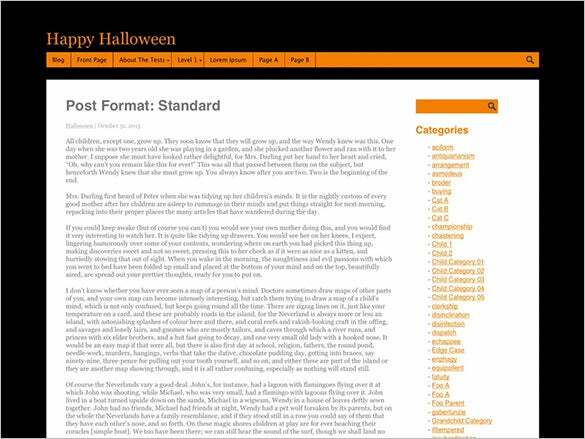 Writers, bloggers, prop makers, artists and promoters who are looking for a classy layout, with SEO features and customizable headers and footers, you’d do well to go for the Halloween Atmosphere WordPress Theme templates. 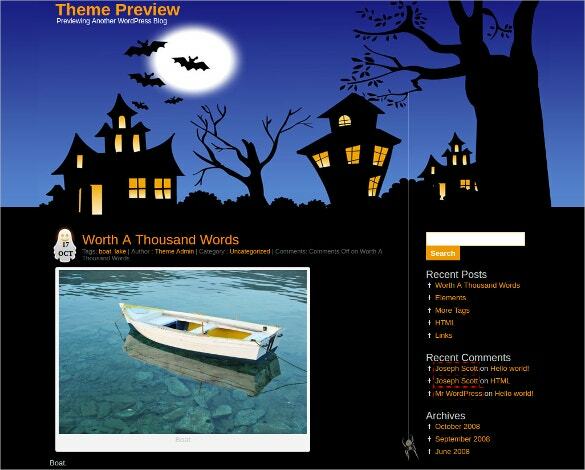 Go for the Halloween WordPress Template with its retina display ready stock images, image management features, preset layouts, and SEO ready URLs. The administration panel is easy to use and it has customised widgets along with a host of other features. 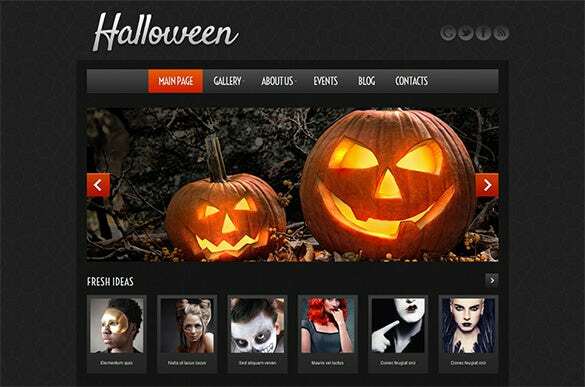 Keep the spirits of Halloween alive on your web page with the amazing horror themed designs of the Halloween WordPress Template. The template is compatible with all browsers, is customizable in terms of all design elements, and has a fully decked up admin panel. The multiple layout styles and pre-defined colour variants will help to create professional and fully responsive websites. Horror sounds, sticky posts, subtle animation, dark design, custom widgets, meta-boxes are the free plugins which will make the navigation easy for anyone.